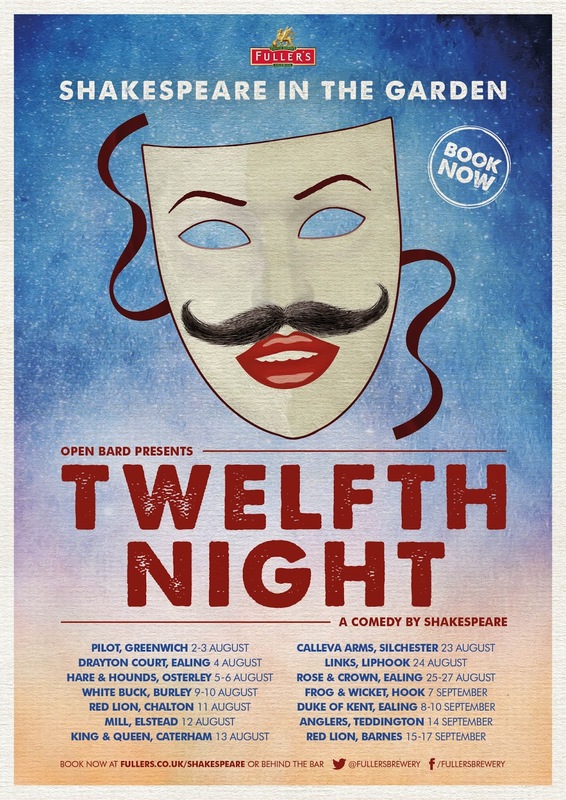 Returning for another year, Fuller’s Inns is delighted to announce Shakespeare in the Garden 2016, in association with Open Bar. This year sees an interpretation of Shakespeare’s most popular comedies: Twelfth Night. Fourteen pubs will transform their pub gardens into the setting of Shakespeare’s legendary story of mistaken identity and miss-fortune. Delicious, fresh food will be available to purchase at each site, including gourmet bar snacks and bespoke pub menus. Each bar will, as always, be well stocked with a great array of beers, including Fuller’s flagship brand London Pride and Fuller’s new wave craft lager, Frontier. There will also be a wide variety of wines and spirits. The official charity benefitting from this year’s production is Shooting Star Chase.